You are in command of an infantry company with orders to take control of a part of a town already decimated by heavy artillery. The enemy is probably entrenched, but you can't be certain. You send in a few men to reconnoiter. The trap is sprung and your advance men and many of the remainder are caught up in the crossfire. You want to order a retreat and regroup, but your political officer insists that such an act would be cowardly and unacceptable, even if it means the death of most or all of your men. Luckily your men break free, but at considerable cost. You are reprimanded, but find a new dedication to the goals of the Party so that next time you'll be a little more hesitant to fall back. And so it happens that in the next mission, where you are to hold a position in the face of an advancing army of overwhelming proportions, you might not even hear the call to retreat – the call for Assembly. A couple years later, the 47 men of your company are officially listed as missing in action, which means they and their surviving families are not entitled to the rights and privileges of the honored dead. And, indeed, they are missing, having vanished without a trace. There's not even a clear record of your own identity. You know they died bravely and so you dedicate your life to clearing their names – but first you have to find what remains of them. As we would expect, the performances in this movie are heartfelt and passionate. 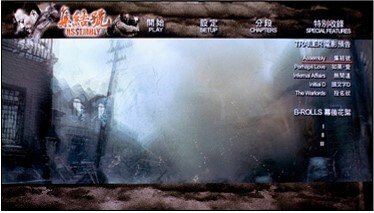 Zhang Hanyu (World Without Thieves) is Captain Gu Zidi, whose humble backstory is revealed only hesitantly. Zhang is riveting, his face unabashedly wearing the battle scars he acquires from one war to the next – with Japan in WWII, his own country's revolution, then the war in Korea. The battle scenes are directed and photographed from the perspective of a photojournalist, with stills reminiscent of WWII photographs. But when things start to happen, one hardly knows where to turn next or from where to expect the next piece of ordinance that could and would decimate you or the person next to you. I found the persistent jerky hand-held photography, combined with dropped frames, to be a bit much – more a fashionable device than an artistic necessity, though it certainly gets across the presence of a fearful and commanding chaos. Megastar brings us both The Warlords and Assembly a month apart. The time frame of the action in these two films is less than a hundred years (though they seemed to me to be more like 300 hundred), and civilization, even in China, has found new and more powerful means of killing itself off. But loyalty to a cause and, more important, to brothers in arms, is no less potent. In the context of present day means of annihilation, the notion of sacrifice may seem a bit archaic, but it seems to find its way into the hearts of man – for better and worse. As has become the fashion for some Asian films in recent years, the color for Assembly is noticeably desaturated, almost to the point of a cool monochrome in the battle scenes that occupy so much of the first half of the film. Noticeably less so in the interregnum. I questioned the lighting in certain indoor scenes, as I was unable to account for how such interiors could have so much light – it did take me out of the movie from time to time. Bit rates tend to be in the mid-teens, which may account in part for a certain lack of density of image. Digital manipulation has its effects as well, though I found them to be well integrated. 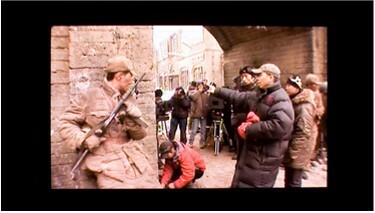 For a war film, I was surprised that the audio was not as forceful nor as dynamic as I would have expected. Whomping bass and impact was somewhat subdued. Even the surrounds were not engaged as fully as I expected, considering the chaos of the moment. I thought at first this might have been intentional, in keeping with the focus on character, rather than effects, but I found it out of balance with the faux documentary photographic style. Perhaps a second viewing will find me more understanding. Assembly is quick to load, with just a couple of logos for MegaStar and Media Asia but no promotional theatrical or video previews. My one complaint is that the chapter thumbnails are not only small, but have the chapter numbers plastered over them large enough to obliterate recognition of the image behind it. None too bright, I thought. The English translation was pretty much error-free and idiomatic. 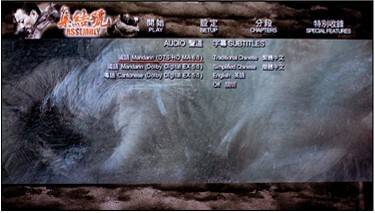 The subtitles remained within the frame. 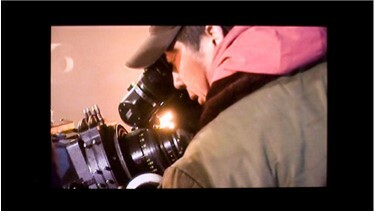 Besides HD trailers for Assembly, Perhaps Love, Infernal Affairs, Initial D and The Warlords, there are three B-rolls, each about 2 minutes, where Director Feng Xiaogang instructs his cast in various action sequences. There are no subtitles, but they are hardly necessary – the action speaks for itself. 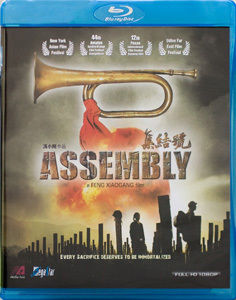 Assembly has not yet received Western distribution to speak of, possibly because it can't be readily pigeonholed as either a war film (where U.S. forces are engaged briefly, by the way) or as a personal journey. In any case, it is deserving of our interest on all the usual relevant grounds: an engaging script, compelling performances and vivid battle scenes. Despite my various caveats, the Blu-ray presentation of the feature film is of very high quality. One final thought regarding the number of dead in Captain Gu's company – 47! – sound familiar? The number is repeated often enough to make an impression – and in this case, the parallel to Chushingura is all the more fitting.